Are you looking for something different in London? Want to find the perfect alternative night out? Well look no further. 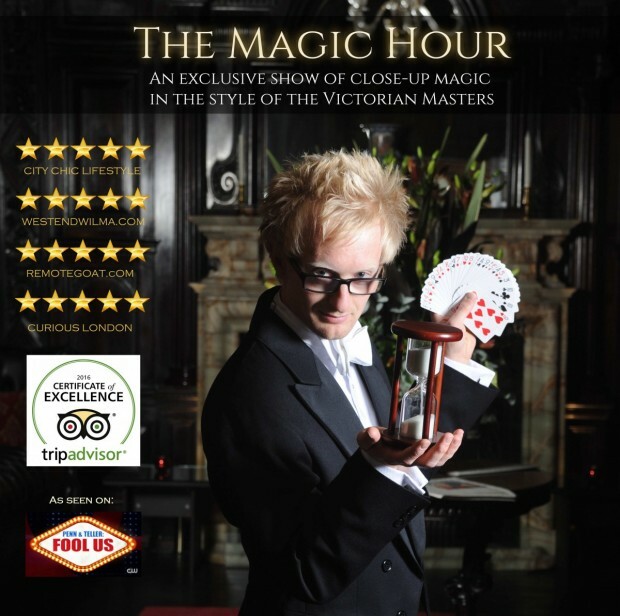 The Magic Hour is an exclusive magic show in the heart of London. Following 5 star reviews and sell out audiences at the St Pancras Renaissance Hotel, it was named in the top 10 attractions in London (TripAdvisor 2014), receiving the Certificate of Excellence several years running.